SAN FRANCISCO — Eight months after one of Uber’s self-driving cars struck and killed a pedestrian, the ride-hailing company is close to putting its autonomous vehicles back on the road in a drastically reduced version of earlier efforts. Uber was driving its autonomous vehicles on public roads in four cities — sometimes at night — at speeds as high as 55 miles an hour when testing was halted after the accident. Starting within a few weeks, it plans to run the vehicles on a mile loop between two company offices in Pittsburgh. They won’t operate at night or in wet weather, and they won’t exceed 25 m.p.h., Uber said Wednesday. But even as the company has lowered expectations, its autonomous car technology has faced considerable issues. The cars have reacted more slowly than human drivers and struggled to pass so-called track validation tests, the last step before returning to city streets, according to a dozen Uber documents and emails as well as interviews with seven current and former employees, who spoke on the condition of anonymity because they were not allowed to talk publicly about the company. The scaled-down street testing would be a humble return for a cutting-edge effort that Uber’s executives once considered a key to its prosperity. While Uber is growing fast and is expected to make its debut on Wall Street next year, it is wildly unprofitable. The company lost $1 billion in its most recent quarter. Self-driving cars were supposed to help cut Uber’s losses by eliminating the need for drivers, perhaps the company’s biggest expense. But expectations were well ahead of the technology. At a recent staff meeting, Dara Khosrowshahi, the chief executive, acknowledged errors in Uber’s earlier driverless car efforts. “We did screw up,” he said in comments provided by Uber. The San Francisco company took its autonomous vehicles to Arizona in 2017, deploying more than 100 on roads around Phoenix. In March, a woman in Tempe was fatally struck at night by one that was going 39 m.p.h. along a 13-mile route. It was one of about 200 Uber self-driving cars being tested on roads in Arizona, Pittsburgh, San Francisco and Toronto. Some test drivers had worried that Uber was too aggressive. They complained, for example, that a software update had led to erratic driving by the cars, including once when the vehicles started running red lights, two self-driving vehicle test drivers said. After the crash, Uber vowed to keep its autonomous cars off public roads until it could ensure they was safe. The company issued a 70-page safety report and added more rigorous testing on closed tracks and in simulations. 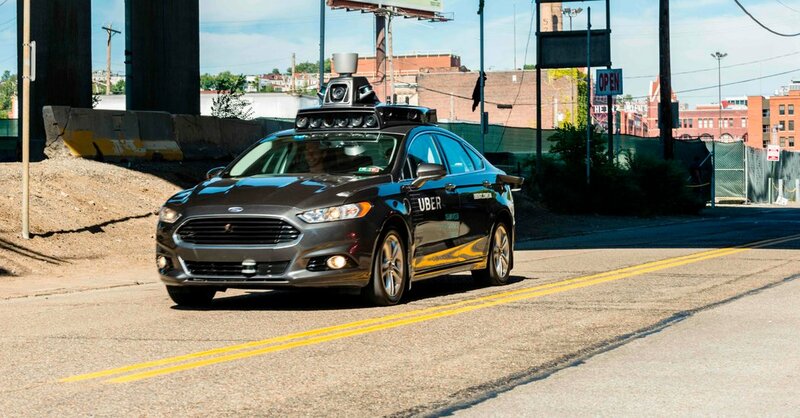 But as recently as a few weeks ago, the company’s autonomous vehicle unit, Uber Advanced Technologies Group, or A.T.G., was still experiencing track testing “failures” on different versions of its software, according internal company emails. To match the reaction time of a human driver at 25 m.p.h., the cars needed to drive “20% slower than a human,” Brandon Basso, a director at A.T.G., said in a Nov. 1 email. Even at slower speeds, the cars were passing only 82 percent of track tests, according to company documents. A week later, Eric Meyhofer, who heads the unit, declared that Uber was going back to 25 m.p.h. The faster speed would prove that the cars were “unequivocally worthy of being back on the road,” he wrote in an email. Some engineers thought there was another reason: Mr. Meyhofer wanted to demonstrate progress to his boss, Mr. Khosrowshahi. And they worried that Uber was taking shortcuts to hit internal milestones, according to two current employees. An Uber spokeswoman, Sarah Abboud, said the company would not compromise safety to meet development goals. “As we have said many times before, our return is predicated on successfully passing our rigorous track tests and having our letter of authorization from the Pennsylvania Department of Transportation in hand,” Ms. Abboud said. While Uber’s cars have been off the streets, its competitors have pushed ahead with similar projects. Google’s autonomous vehicle unit, Waymo, started a driverless ride-hailing service in Arizona on Wednesday. Another contender, Lyft, started a robotic ride-hailing service in Las Vegas this year with the manufacturer Aptiv. General Motors acquired the self-driving start-up Cruise in 2016, has since netted major investments from SoftBank and Honda, and has been testing the vehicles in San Francisco and other locations. Mr. Meyhofer was confident that Uber’s cars could resume street testing in the summer, and he instructed engineers to start planning a party to celebrate their return, according to five people familiar with the plan. But employees worried that a party would appear insensitive, and it was set aside. Some changes were easy. When the Uber self-driving car struck a pedestrian, its solo safety driver was watching a television show on her phone and didn’t hit the brakes until after the impact, according to findings from the National Transportation Safety Board and the local police. To prevent conflicts between Uber’s software and Volvo’s, Uber had also disabled an emergency braking feature that was standard in the Volvo sports utility vehicles the company used. Government guidelines for autonomous vehicle testing are, at best, piecemeal. But under rules the company set for itself, the testing vehicles would always have at least two people driving and monitoring their systems — a standard among its competitors — and the braking system would be turned on. In July, Uber put its self-driving cars back on the road in Pittsburgh, but with human drivers. The resumption of autonomous testing on city streets would take longer. Uber laid off the majority of its vehicle operators in Pittsburgh and shut down an autonomous trucking unit to focus exclusively on cars. Still, Uber received an important vote of confidence in August with a $500 million investment from Toyota with a plan to install Uber’s self-driving system in a fleet of Toyota minivans. By late summer, Uber was planning for an Oct. 12 return date. But executives worried that testing on closed tracks had been “uncoordinated and slow” at a September software leadership retreat in Montana, according to internal documents. When the deadline passed, Mr. Khosrowshahi wrote a public blog post cautioning that Uber would not rush. “We are committed to anticipating and managing risks that may come with this type of testing, but we cannot — as no self-driving developer can — anticipate and eliminate every one,” he wrote. Uber pushed the return date to Nov. 28. But when a test in early November ran Uber’s vehicles through more than 70 categories at 25 m.p.h., they failed in 10 of them, including being slow to recognize another car that didn’t yield. In an email, Jon Thomason, who leads the software efforts at A.T.G., urged employees not to “panic,” because this wasn’t the latest version of the autonomous software. Ms. Abboud, the Uber spokeswoman, said that some of the failures involved “intermittent” braking, but that the company did not consider it a safety issue. A number of engineers on the team anticipated that they would miss another deadline, but Mr. Meyhofer sent an email on Nov. 27 declaring that, as of 6:30 p.m. that day, Uber’s autonomous system was ready for on-road testing. Uber still hadn’t received permission from the Pennsylvania Department of Transportation, but management was ready to declare victory. Ms. Abboud said that as of Wednesday, the company had not received a response from the state.